Each bed by RUF|Betten is unique – manufactured in accordance with your personal preferences in our manufacturing facility is Rastatt/Baden-Wuerttemberg. What sets our sophisticated branded products apart from billions of regular beds? Very simple: The unique combination of creative design ideas, practical and practicable functional solutions, and a virtually unlimited range of variations and fabrics. 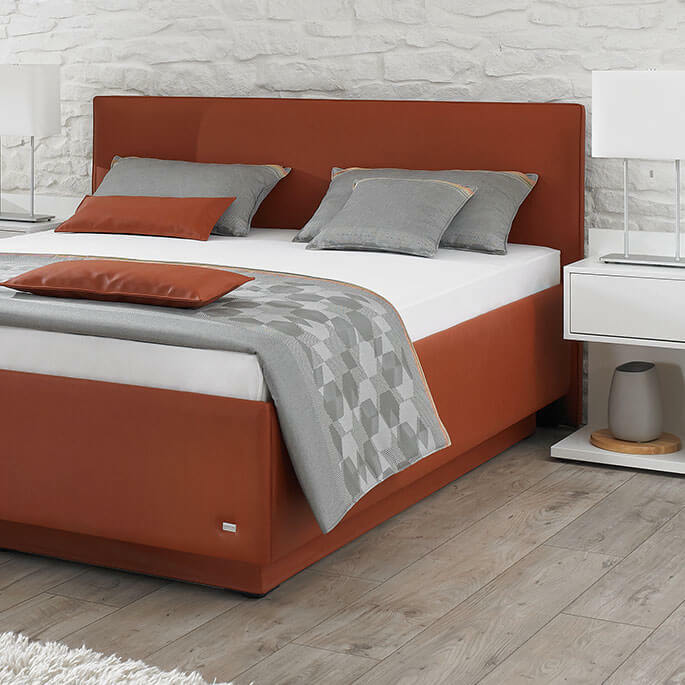 We are renowned for our quality craftsmanship “Made in Germany”, and our beds have been repeatedly tested by independent institutes and received top marks. 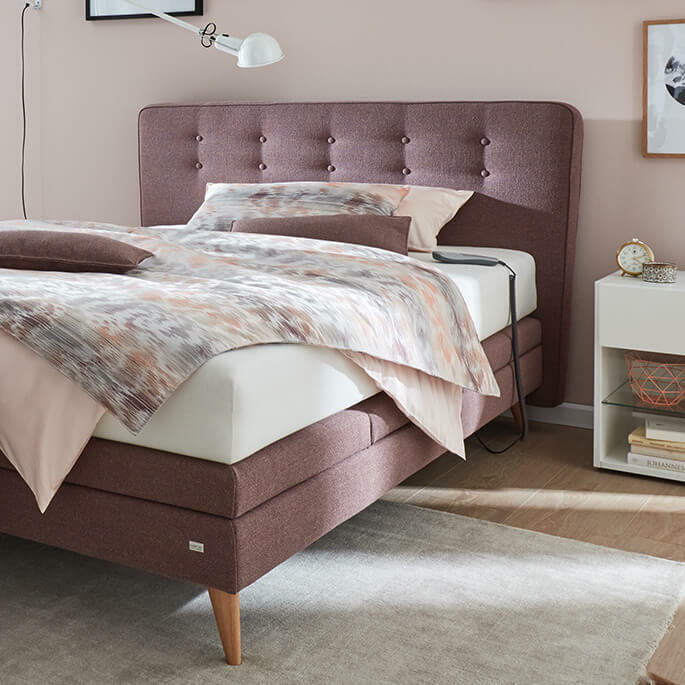 The result: Individual box spring beds and upholstered beds, designed by nationally and internationally renowned designers, produced with the sleeping comfort you’ve always dreamt of. Do you dream of sleeping every night as if you were in a 5-star hotel in New York or Hollywood? Let your fantasy run wild: Use the countless variation and configuration options, and create your individual box spring bed. You love classical – but still want a bed that meets your personal preferences in terms of design and sleeping comfort? A bed that also offers ventilated storage space? If so, you will find your personal dream bed in our extensive range comprising a rich variation of upholstered beds.